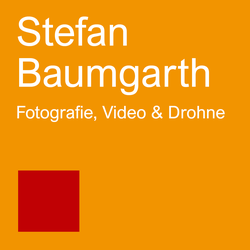 Stefan Baumgarth is an entrepreneur, business coach, business consultant and publisher. In the 1990’s, the philologist and linguist established his first publishing house. Since 2001 he has held an executive position responsible for human resources in an international tradition-rich company in Munich, from 2009 as managing partner. Locations in Berlin and Leipzig followed. In February of 2012, Stefan Baumgarth established an independent US-branch in Washington/D.C. He initiated, managed and monitored extensive change- and team development processes and has profound experience in the areas of mergers and acquisitions, company succession and start-up. Together with entrepreneur and business consultant Inge Bell he heads the Bell & Baumgarth Group, which includes consulting companies and a video production company. The entrepreneurial couple publishes the specialized non-fiction book series “edition Coaching & More” and lives in Leipzig and Munich. "After changes upon changes we are more or less the same ..."